Readers, after thinking I would be lacking in time to bake or blog this week, I managed a quick bake on Sunday. Seriously quick… Got the ingredients together and bang, in the oven. 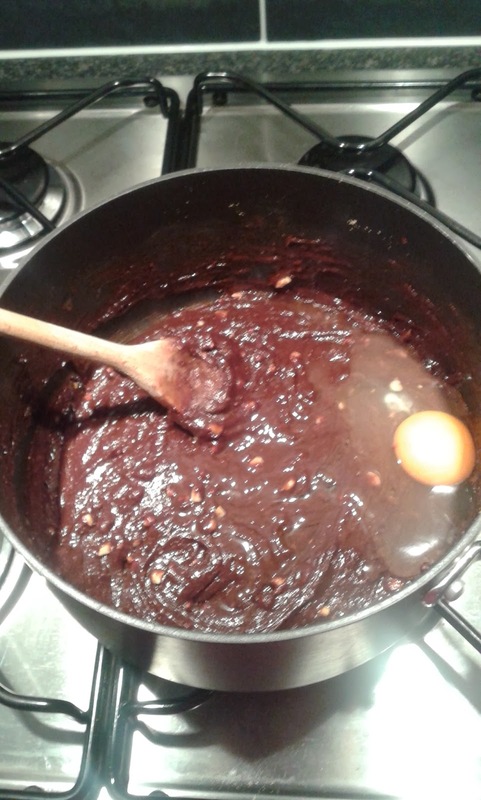 45 minutes later, my lounge filled with the smell of chocolate brownie. Not only do I love chocolate, I also love peanut butter. It’s seriously versatile. Whether you are an on toast, spoon in a jar, Chinese Satay Sauce, or use in baking kind of person, it’s great for all sorts of kitchen ideas. I had a full jar in the cupboard and Mr What Claire Baked woke up on Sunday, stuck his head out from under the duvet and asked for “cake”. Vague request some may say… opportunity to use up random ingredients in the cupboard I say. I used a very easy recipe from BBC Good Food. 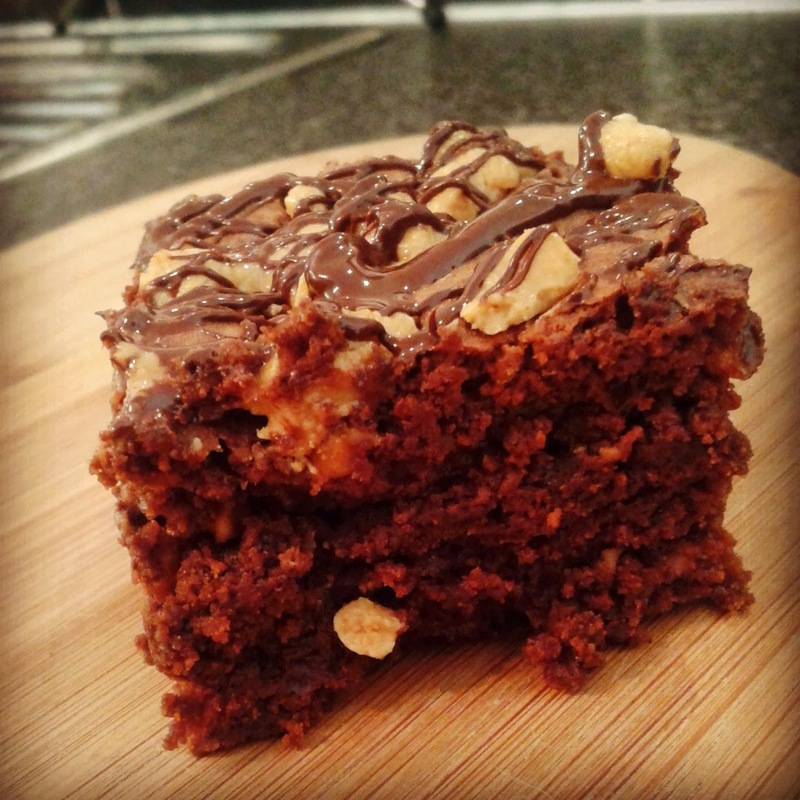 It’s my go-to site for all new bakes, before I get experimental with recipes. Only 5 ingredients are required, so this isn’t an expensive bake. These went down a treat. 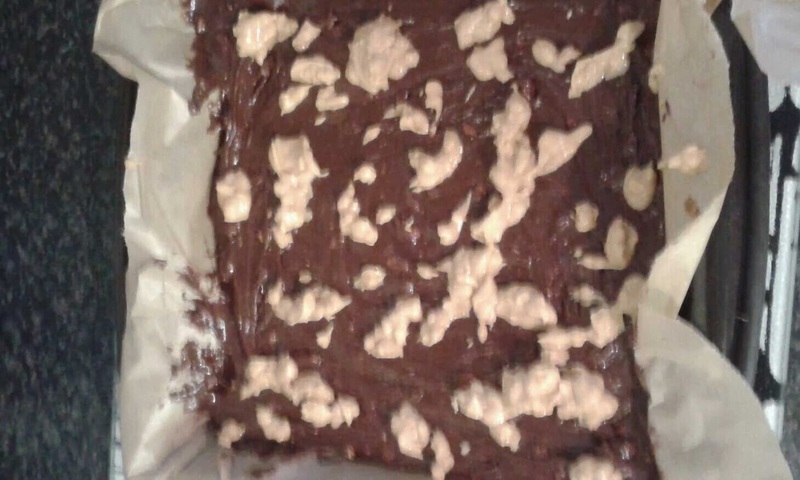 There’s non left – I got 16 small squares from the tin – ooops (it’s only Tuesday, sorry diet). I can also recommend these warmed for 30 secs in the microwave served with creamy vanilla ice cream. DELICIOUS. Heat oven to 180C/Fan 160C/Gas 4. Line a silicone square traybake tin with greaseproof paper. Melt remaining peanut butter, sugar and chocolate in a non stick pan, until sugar has almost melted. 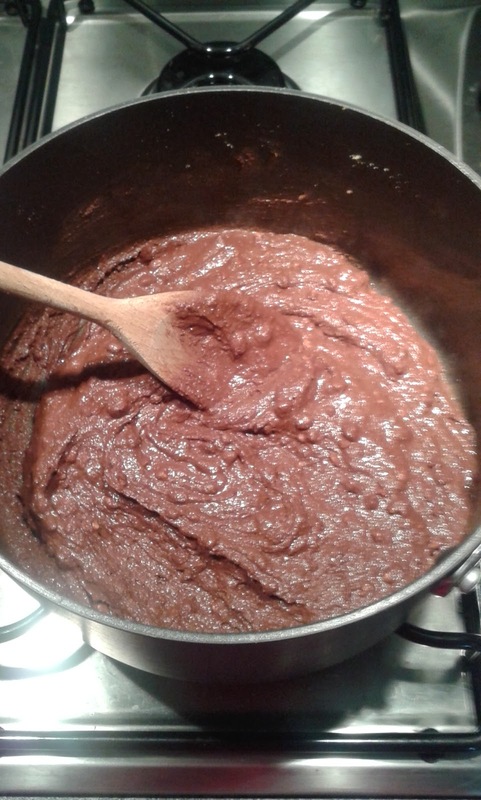 Make sure to keep stirring so the chocolate doesn’t burn. 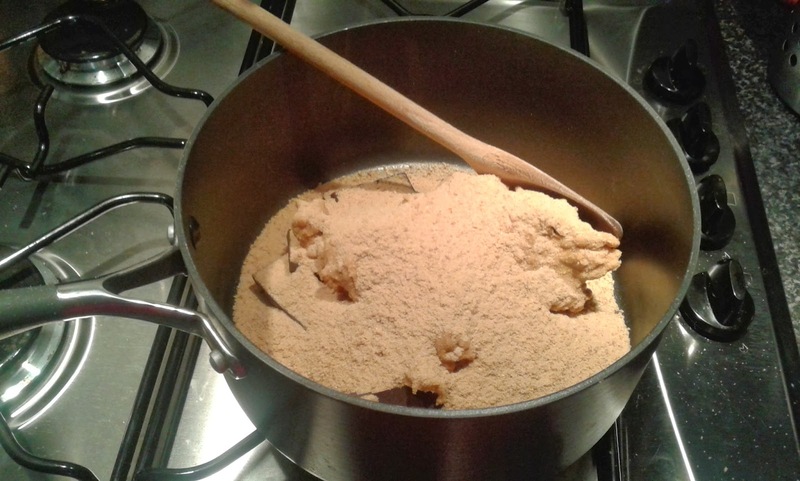 When mixture is combined and sugar almost melted, remove pan from heat. Beat in the eggs one at a time until mix becomes smooth and glossy. Sieve the flour into the pan and stir to combine. Once combined, pour mix into the lined tin and smooth out. Melt the remaining peanut butter in the microwave for around 30 – 45 seconds until runny. Drizzle over top of mixture. 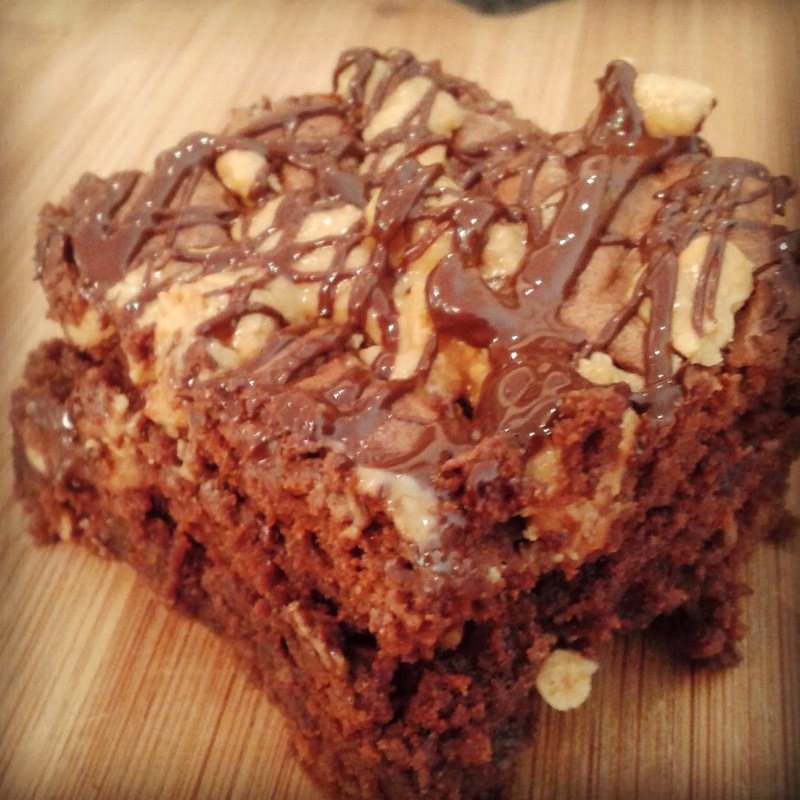 Bake in the oven for 32-35 minutes, or until a crust has formed on the top of the brownie but the sponge is still soft and a little undercooked. Remove from oven and allow to cool in the tin. Once cool to touch, melt remaining chocolate in a microwavable cup for around 40 seconds. Drizzle over the top of the brownie and allow to set. Thank you Alison! They are also super easy to make.